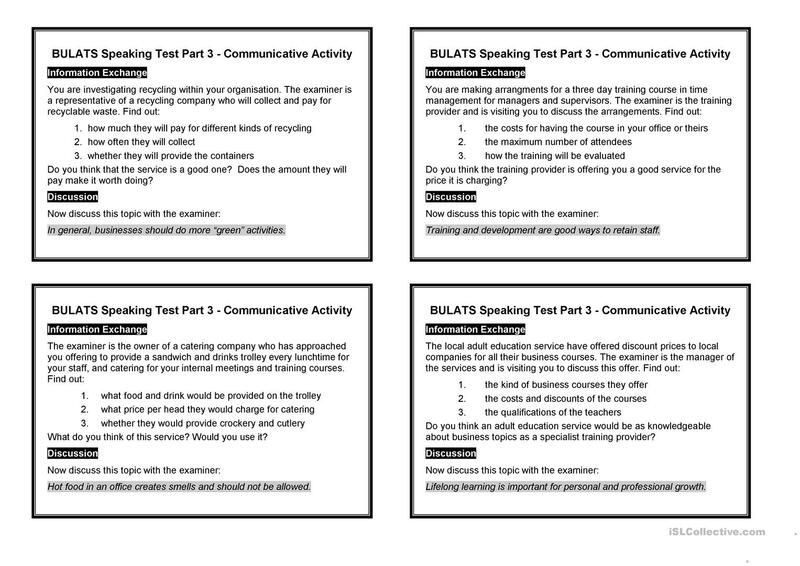 Part 3 of the BULATS (Business English) test lasts 4 minutes and comprises a role play with the examiner, followed by a brief discussion on a related topic. 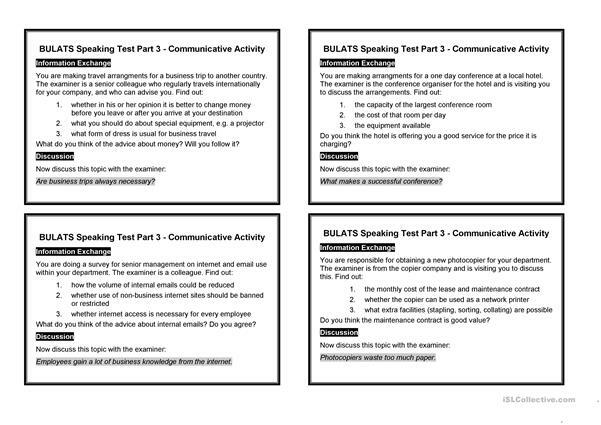 The candidate is given a role card with topic and instructions to find out 3 things and to give their opinion on the information they obtain. At the bottom of the card the related discussion topic is given. Candidates need to practise asking questions to obtain information and then giving and exchanging opinions. These cards can be printed out for exam practice in the run up to the exam. Please note that the topics are not taken from past exam papers but have been invented by me just for practice to suit the type of (employed) students that I teach. Please feel free to adapt the material to suit your own requirements. The above downloadable teaching material was created for business/professional students and adults at Intermediate (B1), Upper-intermediate (B2) and Advanced (C1) level. 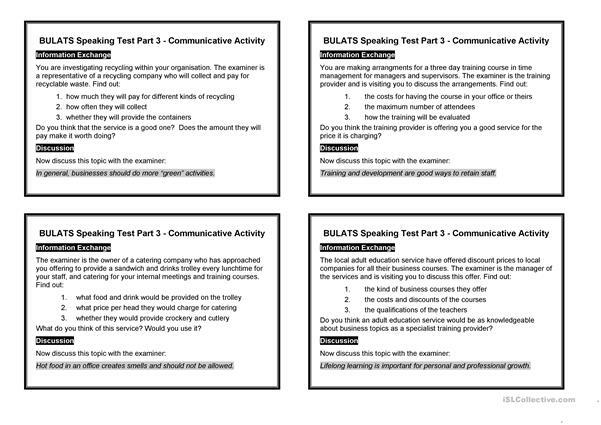 It is a useful material for consolidating Questions in English, and can be used for improving your class' Speaking skills. I teach adults (of all nationalities and ages) in London.